Combine sugar and water in medium saucepan and stir over high heat until sugar has dissolved and mixture comes to a boil. Remove from heat and pour mixture into small pitcher. Add vodka, lemon juice, lime juice and basil and muddle with the end of a wooden spoon to release some of the oil from the basil. Refrigerate until cold. Fill a 12 ounce glass with ice. Pour basil infused mixture into glass, filling 1/3 of the way. 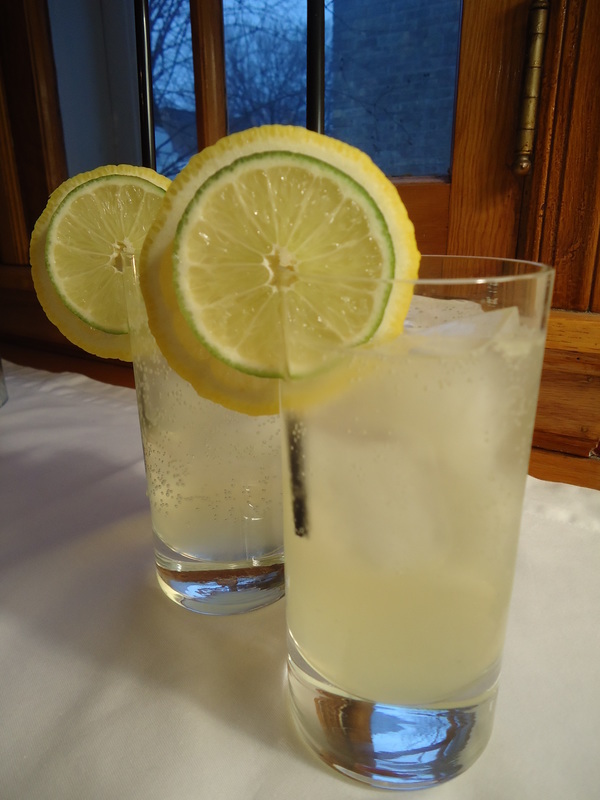 Top off with prosecco and garnish with fresh lemon and lime slices.